On a recent Called to Coach: Australia Edition we spoke with Gallup-Certified Strengths Coach Deborah Protter. Deborah was initially drawn to the Clifton StrengthsFinder because it resonates with her core value philosophy that each individual is unique. While committed to coaching others to productively use their strengths, Deborah also focuses on developing her own strengths to better serve her clients. When facilitating strengths training workshops with her clients, Deborah says she tries to keep it simple. She’s found that when she provides a group with too much information, they become overwhelmed and disinterested. This significantly diminishes the impact of their training. She begins her workshops talking about vision, purpose and values, and then tying them all together with strengths. Deborah prefers taking on clients who will commit to her for the long term, because it allows her to maximize individuals’ results. Additionally, she always gives her clients homework between sessions. Otherwise, she says, life will resume as usual and people tend to forget what they’ve been taught about strengths. To hear more about Deborah and her coaching experiences and expertise, watch the video above. 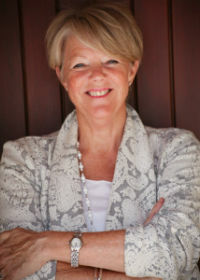 Deborah Protter runs her own consulting company in Western Australia called The Values Partnership. She is passionate about the development of human potential, with over 30 years of international experience educating, training and mentoring leaders in business, government, the arts, politics and the community. Her clients are able to identify their unique strengths and talents, build new capacities and live into all they can be. Deborah became a Gallup-Certified Strengths Coach in April 2014 after twelve years of experience incorporating the Gallup strengths approach into her consulting business.